For Sloane Masterson, her forbidden love with Hayden Lancaster has been a series of highs and lows that is overly complicated by those annoying interstellar dating laws. After receiving creeptastic blackmail messages, Sloane’s life becomes a real-life horror movie. And as if that wasn’t bad enough, Hayden slimes her with smelly ectoplasm and freaky mutants start tracking her every move. Insert one more major disaster…the unexpected arrival of Sector Thirteen. I remember reading the first book in this series, Lost In Starlight, about 2 years ago when it first came out and I loved that book. With this book, I am not sure exactly what happened but it wasn't exactly what I was expecting. That's not to say that I didn't like this book. Overall, this book was pretty good. I guess I was just hoping for more from this book but in the end I was more confused than anything. I was hooked to the story in the beginning, but after awhile some parts just seemed to be dragging. The story did pick up pace near the end however and for me the last couple of chapters were the best part out of the entire book. I think the biggest reason behind not being able to really get into this book though was Hayden and Sloan's back and forth relationship. The strong chemistry between Sloan and Hayden was still there, but I just couldn't figure out if they were friends, dating, or something else. They seemed to just continue switching back and forth throughout the story, even though it was very clear that they both had feelings for each other. But like I said before, for the most part this was overall a good book. There was a good amount of suspense and mystery to keep things interesting. 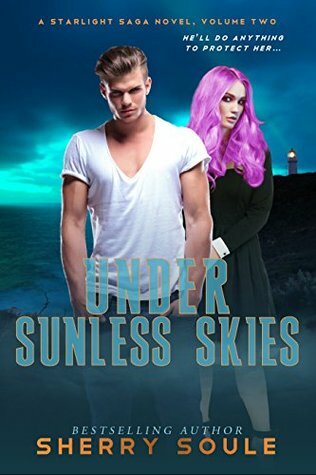 As for the storyline, like with the first book, this one was also intriguing and held my interest, even though I couldn't help but notice some similarities to the Lux series by Jennifer L. Armentrout. My favorite part of the book, however, were the little blog posts that showed up between every chapter. They were pretty creative and fun to read and also gave insight to Sloan's character. This book wasn't what I was hoping for, but nevertheless, I will be keeping an eye out for the next one in the series!